According to a recent study conducted by Massachusetts General Hospital (MGH), a diet called DASH (Dietary Approaches to Stop Hypertension) diet can help treat gout, a type of arthritis. The DASH diet was designed decades ago to lower high blood pressure. Studies found out that the DASH diet, which lowers the blood pressure in the human body will also significantly lower the amount of uric acid, which is considered as the primary cause of gout. The researchers analyzed 25 years of data that showed that there was a significant reduction in gout-related symptoms and flare-ups in people who followed the DASH diet. The participants told that, with the diet, they were able to achieve a level of healing that was only possible through drugs and medications. The study concludes that dietary changes could offer relief from gout and lower the amount of uric acid. 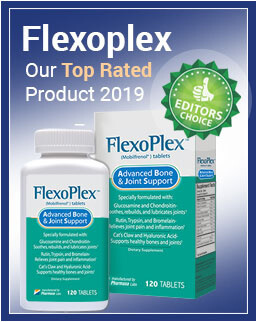 The experts believe that this new revelation can improve the lives of millions of people who are suffering from intense gout symptoms and frequent flare-ups. It will also offer great relief to those who are allergic to gout care drugs and are bearing side-effects. Gout or gouty arthritis is a form of arthritis and causes inflammation that suddenly begins in one joint. Some of the common symptoms of gout are joint redness, joint pain, swelling around joint, warmth of the joint, and nodules under the skin. The main reason of gout is the increase in the amount of uric acid in the body. When it is increased beyond the limit, crystals of uric acid gets deposited in the joints which causes gout. Uric acid is a byproduct when the body breaks down proteins called purine. The level increases due to a variety of reasons including kidney disease, obesity, and genetics. Gout can be diagnosed by many methods. But the most accepted and accurate method is to extract fluid from the affected joint and execute laboratory tests to identify uric acid crystals. Gout is usually treated with medications that can help to reduce the amount of uric acid. 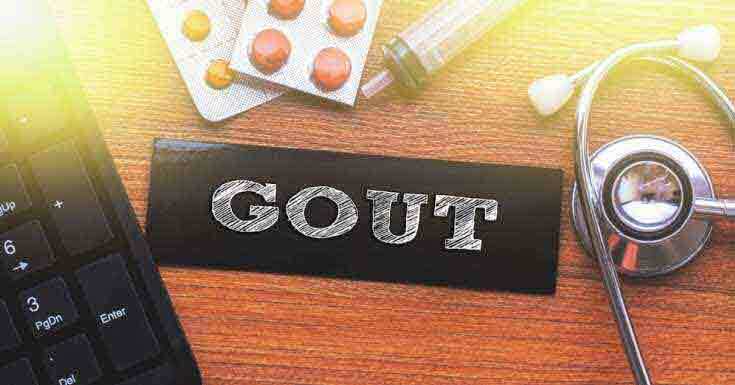 If left untreated, gout can cause life-threatening situations such as permanent joint damage, tophi, and even kidney impairment. Some of the reasons for gout flare-ups are excess consumption of sugar, sweet beverages, alcohol, red meat, beer, and seafood. This is where the importance of DASH diet becomes prominent. Unlike many new-gen diets that claim to offer quick results, DASH diet is a systematic approach and committing to healthy eating for lifelong. This helps to keep the blood pressure (hypertension) under check and also prevent it. The golden rule to DASH diet is to reduce the consumption of sodium in the diet and include foods that are high in nutritional value and rich in potassium, magnesium, and calcium. Following the DASH diet, one can see immediate results, normally within a couple of weeks with the blood pressure reducing by a few points. Consistently following the DASH diet can reduce your blood pressure up to 14 points. How a DASH Diet Works? There are mainly two types of DASH diet based on the amount of sodium consumed per day. One is the standard DASH diet where consumption of sodium is allowed up to 2,300 milligrams (mg) per day. The other one is lower sodium DASH diet where the level of sodium consumption is limited to 1500 milligrams (mg). The main objective, however, is to limit the sodium consumption in comparison to the whopping 3,400 milligrams that a typical American diet consists of. What to Eat on DASH diet? Whole grains such as brown rice, oats, whole wheat, corn etc. A standard DASH diet with a 2000 calorie limit consists of the following foods and in prescribed quantities. 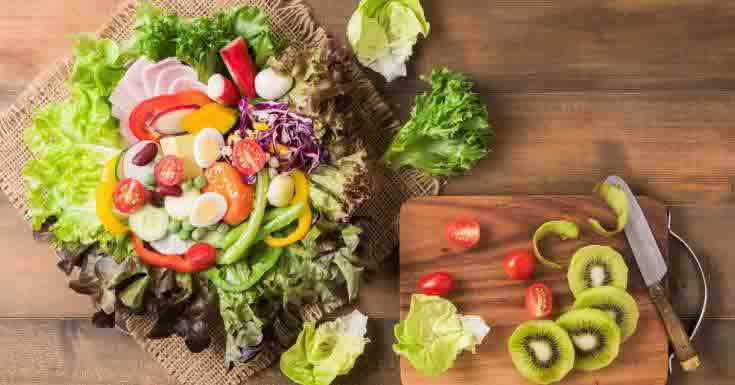 It should always be noted that when you are on DASH diet, you should consume foods that are rich in protein, fiber, potassium, and magnesium, low in trans-fat and saturated fat and most importantly, foods that are low in sodium. How Gout and DASH Diet are Connected? The common dietary suggestion for gout care is one with low purines, a protein that is mostly found in meat and seafood. But this diet has proven to be rather ineffective in the long term, especially in patients with severe symptoms. It also increases the likeliness of people consuming carbohydrates and fats such as trans-fat and saturated fats. DASH diet includes consumption of veggies, fruits, healthy meats, dairy products that are low-fat, grains and guess what? Protein as well! What we need to understand is, not all proteins are same. Gout flare-ups and other symptoms are caused by the protein called purines which produces uric acid as byproduct when breaks down. So it is only understandable that the need is to eliminate or reduce consuming foods that are rich in purines. Red meats such as turkey, veal, bacon and various organ meats like liver, beef kidney etc. Foods such as beef, duck, chicken, ham, and pork will also contain a moderate amount of purine. So it is the best limit the consumption of these foods as well. It is also important to note that taking plenty of water throughout the day will help to flush out toxins from the joints and act as a lubricant thus reducing the symptoms of gout. The basic objective here is to bring down the amount of uric acid by reducing the consumption of purine as much as possible. For men and women post their menopause, the normal level of blood uric acid ranges from 3.5 to 7.2 milligrams per deciliter (mg/dL). Women in their pre-menopause phase will have a slightly lower value. A uric acid level below 6 mg/dL is considered the ideal level for patients with gouts. With DASH diet, researchers found a 0.35 mg/dL drop in the uric acid level. But what was interesting was, in patients with a very high level of uric acid, DASH diet produced groundbreaking results with a drop of almost 1.3 mg/dL. This is more or less equal to the change that patients experienced when taken gout drugs. What is an Ideal Plan? Experts suggest a 10-10-80 ratio as the best DASH diet ratio. 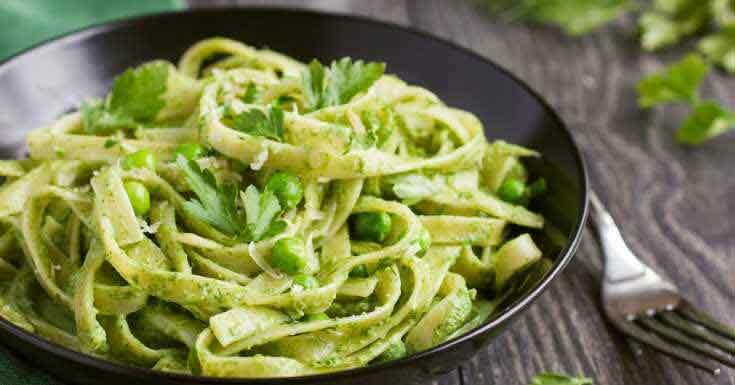 It includes 10 percent of protein through lean meats and fish, 10 percent of low-fat or no-fat dairy products and 80 percent of complex carbohydrates that are rich in fiber such as grains, fruits, vegetables, rice, nuts, pasta, and beans. Avoid processed foods at all costs are the main preservative added in most of them is salt! Also, consuming salt can be optional and a personal decision as most of the natural foods have enough food to take care of your daily requirement needs. There are still two sides to this theory with some scientists believe that dietary restrictions won’t be enough to deal with gout in the long run. There are different theories about how a sodium-regulated diet can control a type of arthritis. However, based on the current status of the studies and findings, it is safe to opt for DASH diet if your gout is mild to moderate. Trying out the DASH diet can improve your condition without drug assistance and can reduce the uric acid level. But nevertheless, the research is still at its infant stage and more and more studies are conducted either to prove or to dismiss the theory. Therefore, before you take either route, it is important to consult your doctor. Personal medical history, genetic factors, overall health, other existing medical conditions, allergies all these factors would come into play before you take a decision. To summarize, it is good to take any research with a pinch of salt and find a balance between medical care and natural care.